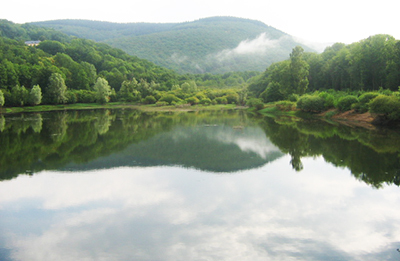 A library will be made available in the information room and documentation about the Morvan region, places to visit, walking paths and other interesting information will be displayed. Every Tuesday morning from 10:00 am to 11:30 a.m. Learn and discover animals, insects, plants, flowers that populate the site. 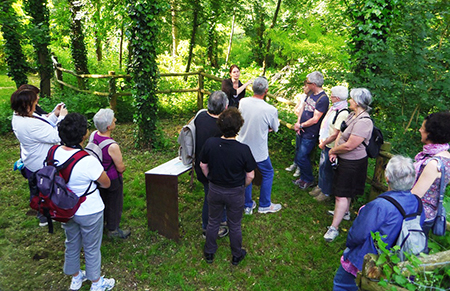 Hiking trails, exploring the cultural and natural heritage of the Morvan. Walk 5 – 10 km (depending on the capabilities of each). 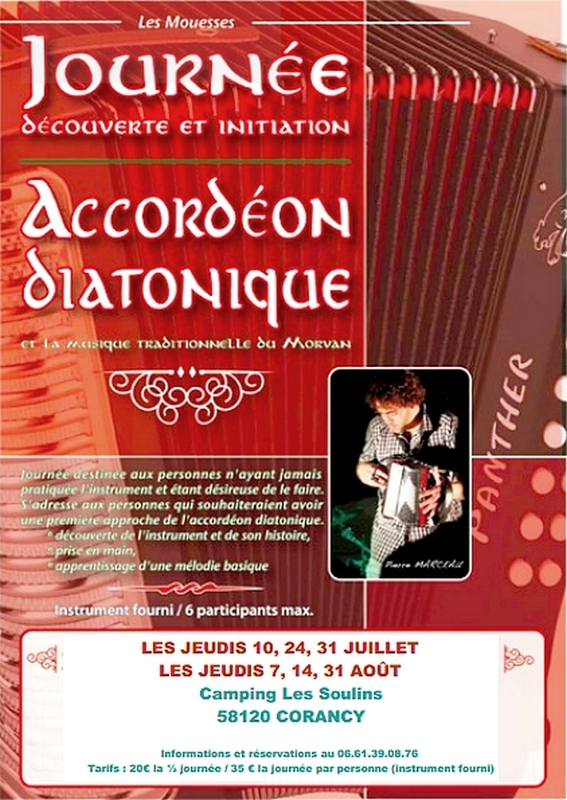 This is an opportunity to discover one of the emblematic instrument of the Morvan music for half a day with an experienced musician. 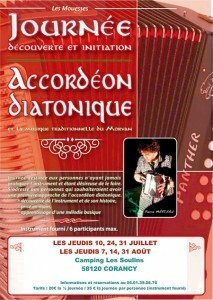 For a first approach of the accordion, from 8 years, diatonic accordion provides. Presentation of our approach !